That really depends on what an investor expects from the future. If the investor wants her capital to be safe and earn some reasonable fixed rate of return, irrespective of inflation and taxes, then these may be good enough. However, if the investor wants to earn a positive return even after factoring inflation and taxes, then these may not be good enough. If an investor has a large enough corpus to start with and is really not worried about enhancing purchasing power, then RDs and FDs are safe and useful savings and income generating options. 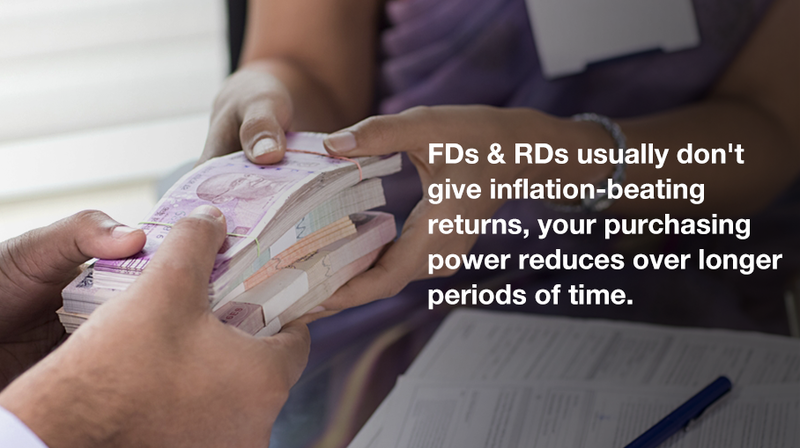 If an investor is more concerned about safety of principal and receipt of timely and predictable income, a FD may be ideal.